With 26 years of Sauber-named Formula 1 cars coming to an apparent end, which is the best looking? 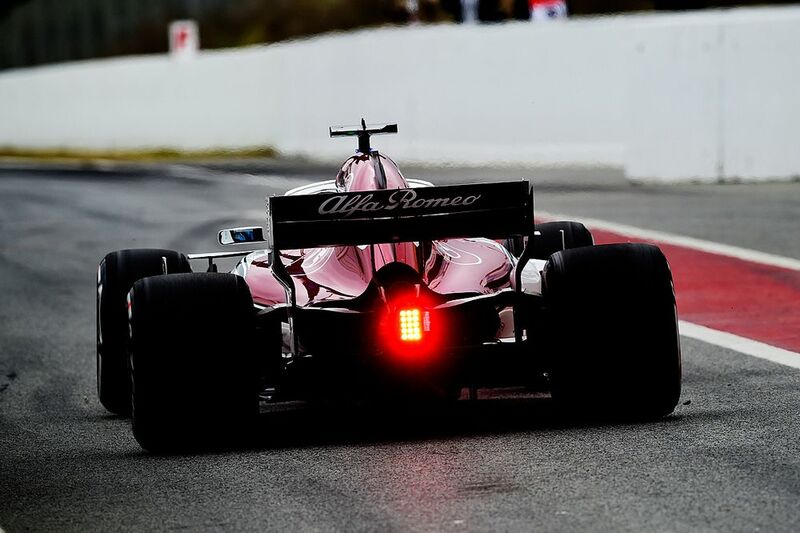 Sauber is gone, Alfa Romeo is in. Well, not really - everything about the team stays exactly the same and the name change appears to be little more than a branding exercise. 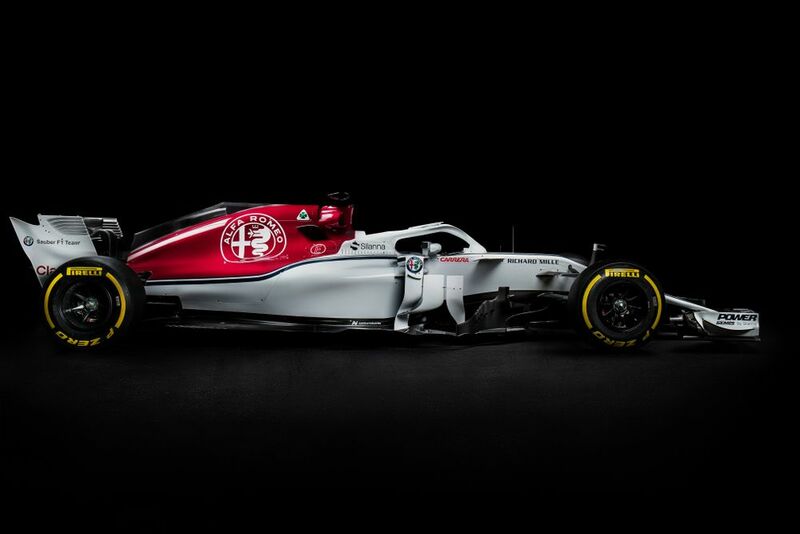 On the one hand, it’s great that an historic F1 name has properly returned (even if it’s not a works team) but on the other, Sauber has built up a solid reputation of its own and become an incredibly likeable team. The team has also run some sensational liveries over the years, resulting in some superb-looking machines. In fact, Sauber’s livery history is probably one of the most underrated in the history of the sport. To pay tribute to fact that 2019 will be the first season without the word ‘Sauber’ somewhere in the constructors’ championship, I’ve picked out some of my favourite cars from the team’s history. 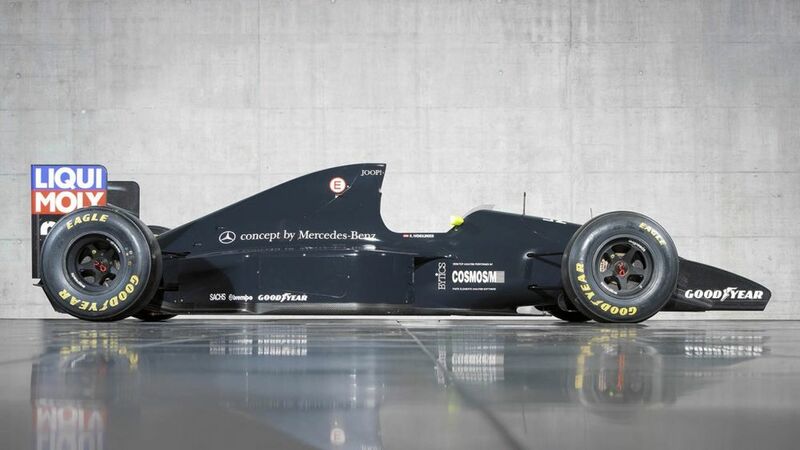 Sauber entered F1 in 1993 in partnership with Mercedes-Benz and the first car was an understated work of art. A very, very dark grey livery coupled with minimal sponsor logos made the car look incredibly slick - and also a little bit naked. It was also very competitive, scoring points in its first race, managing a best finish of fourth (twice!) and finishing seventh in the championship, courtesy of Karl Wendlinger and JJ Lehto. 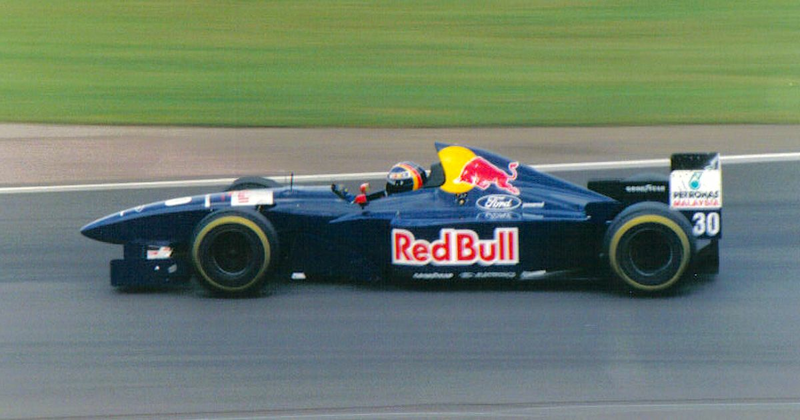 No, that isn’t a fantasy ‘what if Red Bull raced in 1995?’ livery, that’s what Sauber actually ran in 1995 because, you guessed it, the team was sponsored by Red Bull. 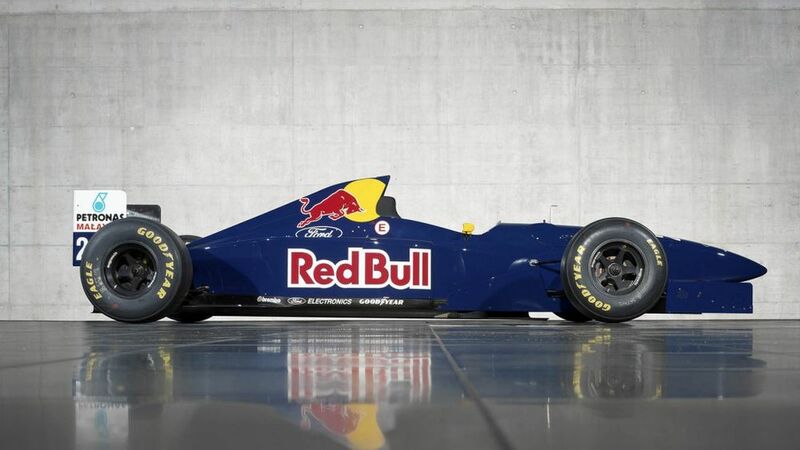 In fact, I’d go so far as to say it looks better than any of the modern Red Bull liveries. It was also pretty competitive, too - Heinz-Harald Frentzen was a regular points scorer and he even gave the team its first podium with a third place at Monza. 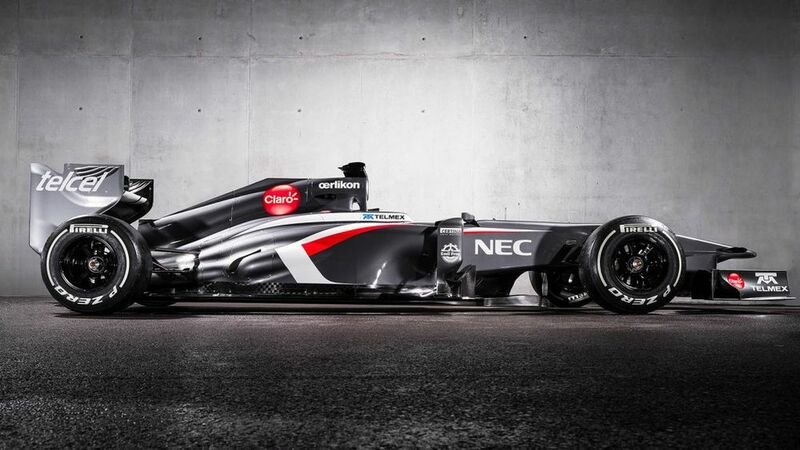 Fast-forward a couple of years and you get to the typical late-90s Sauber livery. In fact, I could have gone with any of the cars from 1996 to 1999, but I’ve gone with the 1997 C16 for three reasons. Firstly, the front and rear wings looked better in white than the turquoise and blue of later years. Secondly, 1997 was the last year of the wide-track cars which just looked more ‘proper’ than the early grooved-tyre cars. And finally, 1997 was the year I first started properly watching F1, so any car from that year will always be a little bit special. 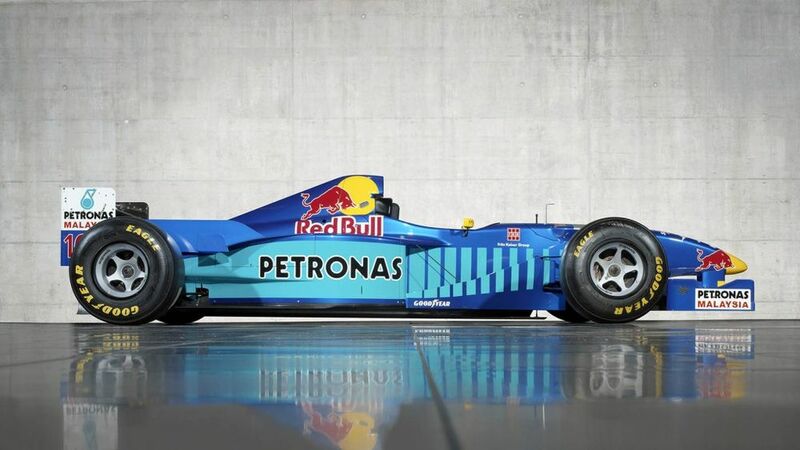 To be honest, Sauber’s livery was pretty much the same from 1996 until 2005 and singling any of them out is hard. However, the later you go the more multi-coloured the liveries become - and not in a good way, like Benetton, but in a bad way, like some of the early 90s Jordans. 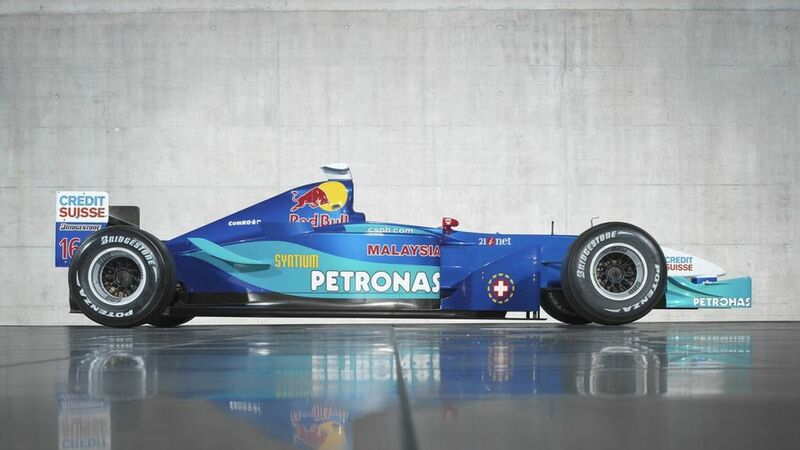 The 2001 car was lovely, though - more blue than turquoise, and the welcome return of flashes of white courtesy of new sponsorship from Credit Suisse. It was also Kimi Raikkonen’s first F1 car and he managed a number of impressive results with it, even though it was actually Nick Heidfeld who scored most of the team’s points, and even took a podium in Brazil. The real result, however, was fourth in the constructors’ championship - Sauber’s best-ever result (outside of the BMW years). Ahh yes, the BMW years. Sure, the team was fundamentally BMW from 2006-2009, but it still had Sauber in the name, so it’d be wrong to omit a car from this era. As much as I’d love to have picked the F1.09, even I’m aware that I’m very much in the minority in liking that car and I don’t want to subject those of you with more ‘normal’ tastes to an unwelcome view of it. Therefore, the F1.06 gets the nodinstead. Unlike the increasingly-wingleted cars of 2007 and 2008, the relatively clean lines of the 2006 car do a great job of showing off that simple-but-smart BMW colour scheme. 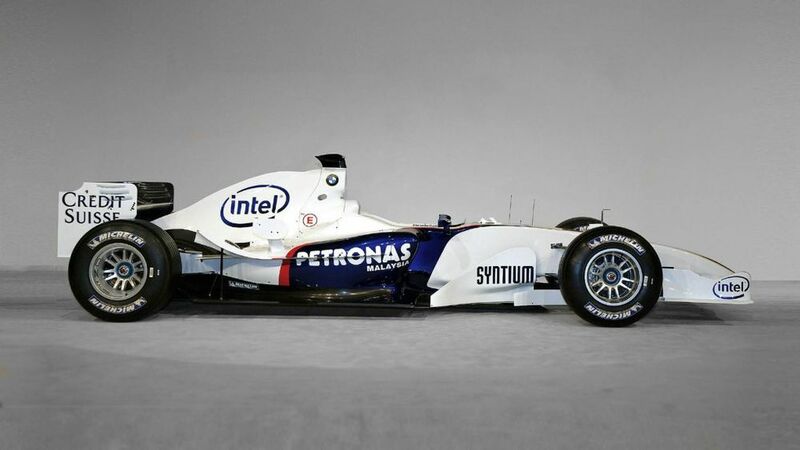 When BMW withdrew at the end of 2009, Sauber had the opportunity to do pretty much anything with the livery of the 2010 car. But instead of doing ‘anything’, the team did ‘nothing’ and churned out a plain white and grey car. Thrilling. Sergio Perez joined the team the following year and brought a few sponsors with him, transforming what had been a white blob into something far less offensive (the banning of shark fins helped, too). The actual shape of the car is also pretty nice, and the C30 was also the last Sauber to run those snazzy five-spoke OZ Racing wheel rims which had made regular appearances on Saubers throughout the team’s history. Look familiar? In 2013, Sauber ditched the predominantly white livery for a glorious graphite grey design - something of an homage to the team’s first F1 car 20 years earlier. Although Esteban Gutierrez only had one points-scoring finish all year, Nico Hulkenberg worked wonders with the car, pulling off a string of top six finishes in the closing stages of the year and fighting with the likes of Ferrari and Mercedes. 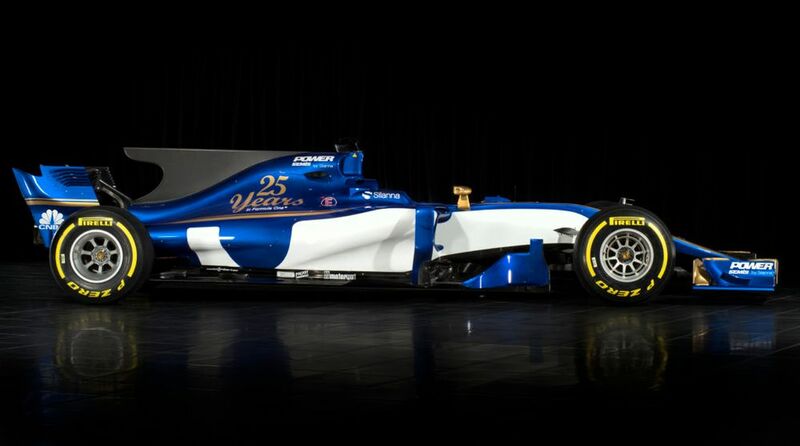 The blue and yellow Saubers of 2015 and 2016 were certainly distinctive, but they looked a bit… well… naff. In 2017 the team went with a slightly different approach, choosing a darker blue and replacing yellow with white. Sure, it looked a bit like a Ligier - but that’s absolutely a compliment. The C36 was smart as hell, it’s just a shame the performance didn’t quite match the looks. Oh boy. The Alfa Romeo script, the fat rear tyres, the dark red, the shape of the rear wing. It’s a glorious view which simultaneously shows off the brutality of modern F1 cars while also having a slightly old-school feel about it. It’s the best angle of a current-generation F1 car I can think of. If you dare to disagree then you can just… well, do nothing. Looks are subjective and we’re all allowed to have our own opinions! 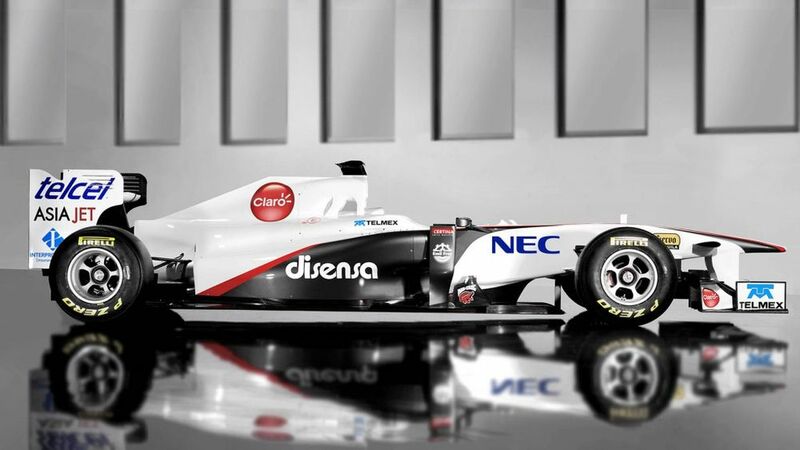 For now, it’s also the last F1 car called a Sauber, which gives this specific angle something of a sense of finality. Will we see the name return in the future? As awesome as it is to see Alfa Romeo back, I kinda hope so. Long before entering F1, Sauber started out building sportscars. While that era of its history is most famous for the iconic silver C9 and C11 that won multiple races in partnership with Mercedes, there’s an earlier car which I wanted to bring to your attention. The C6 competed in 1982 and is, frankly, incredibly cool. 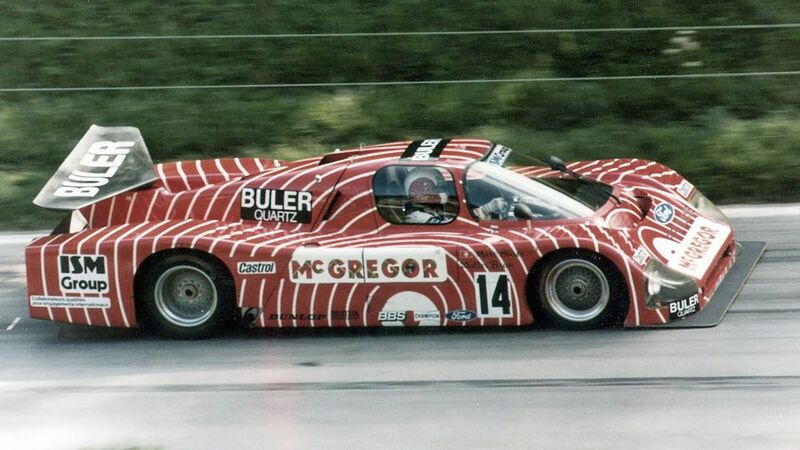 Just look at that trippy BASF livery - a classic on GT cars, but one which also looks great on a Group C prototype. The cherry on the top is that big, delta-shaped, single-pylon rear wing. It wasn’t the most competitive car but when it looks this good, who cares! ?